This is a huge bouquet jam packed with lots of yummy treats! 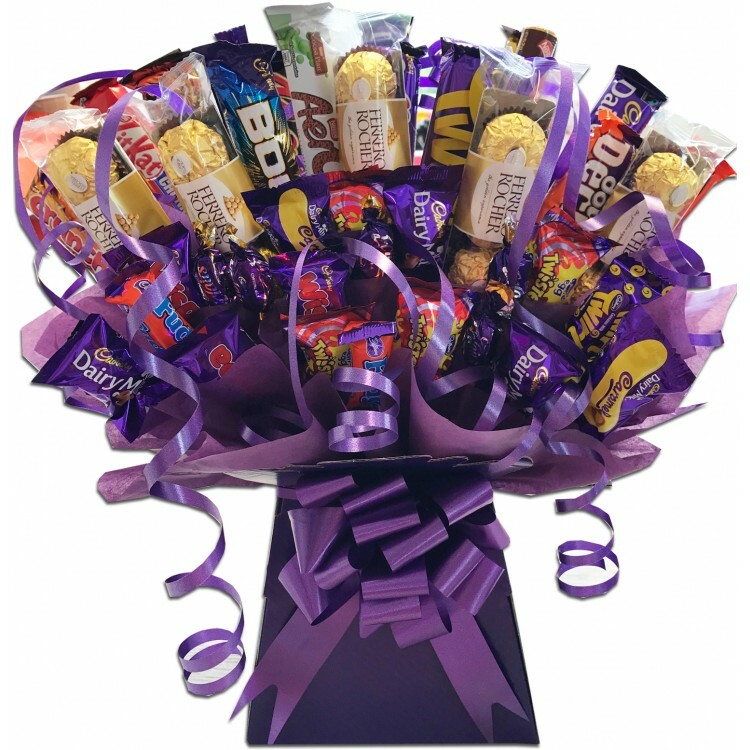 The biggest bouquet we make thats filled with chocolate!! Here is a list of some of the chocolate included. Decorated in a colour scheme of your choice. Giftwrapped for that perfect gift. Personalise your gift with a printed message attached to the front of the bouquet for £2 extra, please enter the wording in the text box. Ingredients: Full Cream Milk, Sugar, Cocoa Butter, Cocoa Mass, Milk Solids, Emulsifiers (Soy Lecithin, 476), Flavours. Milk Chocolate contains Cocoa Solids 26%, Milk Solids 28%.